one + = eight Required Please enter the correct value. The top stocks to watch today (Wednesday) include communications and networking company Cisco Systems Inc. (Nasdaq: CSCO), specialty metal supplier Allegheny Technologies Inc. (NYSE: ATI), and snowmobile maker Artic Cat Inc. (Nasdaq: ACAT). Mexico issued stern warnings to President Trump about NAFTA talks. It is willing to "modernize" the agreement, but deal breakers include the wall, remittances, and a worse deal than the current one. With 80% of Mexico's exports coming to American markets, this trade deal is a very important issue for the Mexican economy. However, the biggest movers of markets today will continue to be earnings reports and M&A news. Cisco stock is up 0.75% in pre-market trading. The uptick in stock price is due to the announcement that the company reached an agreement with AppDynamics last night on the eve of its IPO. AppDynamics was set to go public today with a valuation of $1.9 billion. Last night, Cisco agreed to buy the company for almost twice that amount. 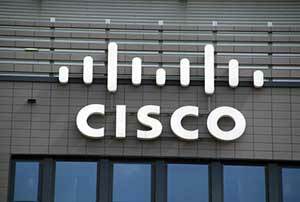 The $3.7 billion agreement is an attempt by Cisco to capture growth in new areas. With President Trump vowing to incentivize companies to bring overseas cash back to the United States, these deals are likely to increase in frequency as tech companies try to stay ahead of the competition. CSCO stock is currently trading at $30.60 for a gain of 1.26% year to date (YTD). Allegheny Technologies stock was up 31.14% yesterday and 1% in pre-market trading this morning. The stock is shooting up after the company released its earnings report yesterday. ATI reported an increase in revenue of almost 16% from 2015 to 2016, and a gross profit increase of 169%. Despite those increases, it announced earnings per share of -$5.97. The losses per share are largely due to restructuring efforts to improve long-term profitability. ATI stock is currently trading at $22.28 for an increase in stock price of 39.86% YTD. Artic Cat stock is up 41% in pre-market trading after Textron Inc. (NYSE: TXT) announced this morning it will be buying the company. Textron will buy Artic Cat for $18.50 a share, over 40% more than ACAT closed last night. There will also be a debt component of the deal, but those details have yet to be disclosed. Artic Cat will join Textron's specialized vehicle division. The brand, manufacturing, distribution, and operational facilities will all remain. ACAT is currently trading at $13.09 for a loss of 12.85% YTD.